Let’s be honest. There’s nothing funny about April Fools’ Day. Media organisations and large corporations collude to create stories that seem ludicrous but plausible. Then they have a good chuckle to themselves that some people were tricked. But given we live in a world in which the daily news seems to be a catalogue of the implausible, and some is already fake, how are we supposed to discern what stretches credibility and what is real? In 2018, April Fools’ Day takes place on Easter Day, another day not known for its humour. Sceptics would be tempted to describe it as another day of implausible stunts. But let’s not get into that. Many books have been written on the subject, like Norman Anderson’s Evidence for the Resurrection or Lee Strobel’s The Case for Easter. What’s less documented and written about in modern Christianity is the comedy present in the Easter story. On the surface, the death of Jesus doesn’t seem like a comic tale. The church certainly rarely presents it as such. But it used to. The phrase Risus Paschalis can be found in Easter celebrations in previous centuries. It means “the Easter Laugh”. The origin of the phrase is obscure. Some attribute to the phenomenon to early church fathers like Gregory of Nyssa. But these early Christians weren’t known for their sense of humour. In 390, John Chrysostom (c. 347-407) preached “This world is not a theatre in which we can laugh, and we are not assembled in order to burst into peals of laughter, but to weep for our sins.” Clement of Alexandria and Augustine were also suspicious of humour, just as the church is today. that you may allow us the laugh of Easter grace. Curiously, no reference to bunnies or chocolate. To those outside the church, and plenty inside, it may not be easy to say what the big joke is about Easter. In bald terms, the gag is that God tricked Satan into letting him kill Jesus. But in so doing, Satan achieves God’s purposes, Jesus saves everyone with his death and Old Nick is humiliated by Jesus’s resurrection on the third day. Jesus 1. Lucifer 0. This is pretty niche comedy, in today’s secular age, at least. Biblical knowledge and church attendance has declined in the West, so we shouldn’t be surprised that Risus Paschalis is no longer a thing. Ask the man in the street what Easter is, and he might not even know that it’s Jesus related. In order for comedy to work, to ‘get it’, you need shared information. As a society, basic Christian doctrine is no longer known, let alone understood or believed. The Risus Paschalis tradition may also have fallen by the wayside because of theological shifts in the last 500 years. The habit of telling jokes in Easter sermons attracted criticism from Luther’s contemporaries, Oecolampadius and Erasmus who were shocked by the bawdiness and tone of the gags. 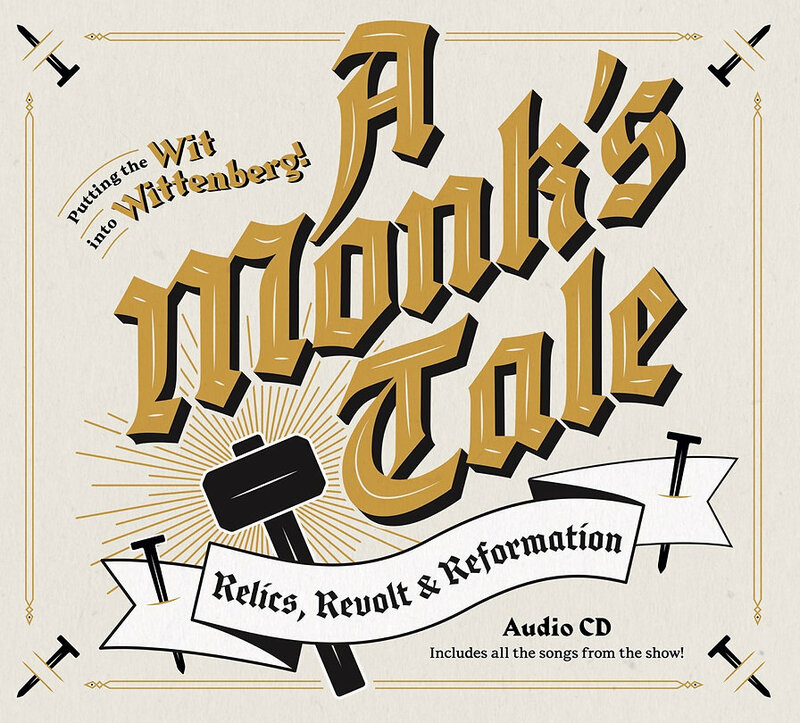 But the Reformation, for Protestants at least, shifted the understanding of what exactly was happening at Easter, which perhaps tracks with the level of fear that the West has for the devil: virtually none. Read the CS Lewis’s Screwtape Letters for how that’s not exactly progress. The idea that God tricked the devil by allowing him to have Jesus killed arguably inflates the importance of Satan in the overall biblical story. There are some verses in 1 Corinthians 2 in which Paul writes that “we impart a secret and hidden wisdom of God decreed before the ages for our glory. None of the rulers of this age (Demons and the Devil) understood this, for if they had, they would not have crucified the Lord of glory.” (1 Cor 2:7-8) Demons are not omniscient and therefore were as blind to the consequence of the crucifixion of Christ as anyone. But as theology grew and developed from the 1500s onwards, the role of the devil in the Easter story is sidelined. The reformers were clear that the Devil is not the piper who needs to be paid, teaching that it is God himself who demands satisfaction for sin. Justice is his realm. Jesus does not save the Christian from everlasting punishment by the Devil. Hell is the place in which the Devil is also punished. He is thrown down. Read Milton’s Paradise Lost. (Oh, and the Bible.) Misery loves company. (That’s not in the Bible). Satan is grabbing as many souls as he can on his way down. But the point is this: Satan is not the one who punishes sin. That would be God who is utterly and ineffably just, unpalatable for some as that doctrine may be. In the Garden of Eden (Gen 3:1-7), Eve may have been tricked by Satan, but the promise in 3:15 is not that Satan will have the tables turned on him, and that he will be merely tricked when he’s least expecting it. The implication of the promise is that his head will be crushed. God is the one offended by the sin of Adam. It can only be undone by a second Adam. And the only one who can provide that Second Adam, untainted by sin, is God, in his Son Jesus Christ. And he does that because he made us and he loves us. People much prefer hearing that bit. So, is Easter not funny after all? It is, actually. It is certainly very comic in ways that we will explore in the next post HERE. If you can’t wait, have a look at a discussion of this subject with me and Glen Scrivener. When a half hour interview from the Channel 4 news team gets 800k views in a couple of days, you know that something strange is happening. Another 45k people watched it the time it took for me to write this blog post. This sort of thing is normally the slow televised death of a political career. But not this time. People are rubbernecking the interview of clinical psychologist and professor Jordan B Peterson by Cathy Newman, who is promoting his book 12 Rules for Life: An Antidote to Chaos. On the Spectator website, Douglas Murray calls the interview ‘catastrophic’. That may be pitching it rather strongly, even though the interview comes to an actual stand-still at 23 minutes when Peterson risks a ‘gotcha’ at Newman’s expense. It’s fair comment, given she’s just spent 23 minutes try to ‘get’ him. It is to Channel 4’s credit that they showed Cathy Newman’s embarrassing speechlessness at that point rather than cutting back Peterson. And it is further to their credit that they put up this interview on Youtube in full. It seems that they’ve taken this one on the chin. If one impugned their motives, like Newman repeatedly does during the interview, you could say that they can’t take the interview down now, since it would look even worse. And given the video will probably get another million views in the next 24 hours, and be ripped and reposted, the toothpaste is well and truly out of the tube. Maybe Channel 4 don’t think the interview is all that bad, and here is why I hesitate to use the term ‘catastrophic’ about the interview. Newman approached this interview and asked the same sort of questions that she would a politician. Every question is heavily slanted and loaded with preconceptions that relentlessly assume the worst of the interviewee’s motives and character. This is rather brutally known as the ‘When did you stop beating your wife?’ approach. The interviewee is then stuck with the dilemma to defend their character or make a constructive point. If they refuse to allow the character slurs to pass by and defend themselves, they’ve normally used up too much time and breath to make the point – and the interview moves on to the next phase of the character assassination. The Left should classify such relentless questions micro-aggressions, but of course the rules are different if it’s a Channel 4 Journalist saying them. The big difference here is that Newman is not interviewing a politician who doesn’t know what they think from one day to the next, who, for example, voted to Remain and now has to defend Brexit negotiations. This is not a camera-shy bumbling academic who is grateful for and embarrassed by the attention. She is interviewing a steely professor of Clinical Psychology who knows his stuff, and has had far worse thrown at him with far worse consequences for him than public embarrassment. Newman’s interviewing him cat-and-mouse style as if she knows what he must really think, but he’s playing a completely different game in which he turns out to be the cat. So here’s the interview. I highly recommend watching all of it. It’s a slow-burn but well worth your time. And here are few thoughts on it below. Let’s just break things down briefly as a few of Newman’s questions popped out at me when I was watching the interview. At the very beginning, Newman asks an open question. She lets him speak. Her tactic may be to give himself enough rope to hang himself, since he’s clearly written a book that she finds objectionable. He doesn’t seem shifty or repentant, but confident and well informed for a couple of minutes. 1m53: She sticks with the plan and asks another open question about the male crisis that Peterson is putting forward. This question assumes that having a predominantly single-gendered audience for a Youtube Channel is regrettable in some way. This is an odd question given there are plenty of TV shows, books, industries and celebs that veer towards one gender or another, including many TV shows on Channel 4. They sell advertising partly on that basis. But it is odd that Newman can’t take a book seriously unless it’s aim squarely at both genders. This seems a bizarrely proscriptive approach, but this becomes very much the motif of the interview. She says this as if internet platforms should all aim for a 50/50 gender split of usership. This fits in with what comes later. Newman is after equality of outcome, not equality of opportunity. At this point, she seems unwilling to make that distinction. Perhaps she’s never been required to before. Let’s keep going. Watching the interview for the first time, this was the first comment from Newman that really jumped out at me. It’s not a huge logical leap she makes, but a subtle, disingenuous hop that Peterson’s theory of the crisis of masculinity needs to be solved by women (as if they didn’t have enough to do). Peterson has not said that at all. He has said that if women want men who aren’t overgrown children, they might like to take some action. In response to Newman, Peterson doesn’t jump on the word ‘duty’ but again, pushes things back to free choices. We are the product of the choices we make. I wonder if, fundamentally, this is what Newman can’t accept. The interview moves on to some deeply awkward issues of male and female gender dominance, low expectations of relationships and general dysfunction. Actually he’s not. He used the phrase ‘there’s a substantial minority who do that’ (4m07). These differences are very minor, but significant and Peterson is showing that he’s not going to have words put into his mouth. That’s very much going to be the pattern of the rest of the interview. Five minutes in, they start talking about the toxic issue of the gender pay gap, and Peterson will not give an inch of ground. Peterson flatly refuses to over-simplify and Newman clings on to her assumption that there is only equality when everything, every single thing, is 50/50. Newman doesn’t let him. And she talks about how unfair the 9% gap is, and his attempts to say that she should be interested in why the gap exists is irrelevant. Earlier in the interview, Peterson acknowledged that the gap looked unfair but you have to dig deeper. Newman doesn’t seem interested in doing that, which is a pity because this is meant to be an interview. But it isn’t really an interview any more. It’s an interviewer with opinions telling an interviewee with data and analysis why he simply must wrong. And then we hit a point at which demonstrates why Peterson has shot to fame in the last year, and we’ve seen hints of it already in this interview. And how he rose to prominence in the first place. He simply will not say the little thing someone wants him to say in order to avoid confrontation. It’s a tactic that normally works very well, especially with agreeable people. But Peterson is not agreeable. And nor, as he discovers, is Cathy Newman. That part of the interview (16m53) is rather delightful. She is hoping for at least a hint of compromise. Peterson’s already said it looks unfair. She’s got to come away from this is something. And so it goes on. He just will not say the thing that she wants him to say. She shouldn’t be surprised at this. This is the man who made his name for his refusal to use legally required gender pronouns because he argues the state of Ontario has no right to insist that he do this. He has studied how this process played out in his book and lectures called Maps of Meaning. He is the Professor of Awkward. That’s his power. That’s why this interview plays out as it does, and why Newman is continually set back on her heels. Her techniques, which are no different from those of many interviewers, normally work. 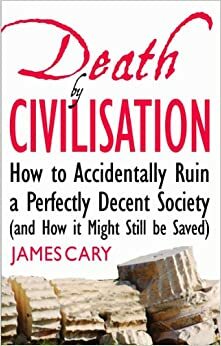 For more of this sort of thing, you might like to by Death by Civilisation by James Cary, a series of articles about politics, media, faith and culture. Available here. You can also listen to James Cary talk about church, culture, media and everything in between with Barry Cooper on the Cooper and Cary Have Words Podcast. Since this article was written on 18th Jan, some people have kindly corrected my error with univaried/univariate – but I left it incorrect as I don’t want to rewrite history. And also someone has edited the interview and gathered up every single time Cathy Newman tells Jordan Peterson what he’s saying. Worth a look. I was eight when The Living Planet arrived on BBC1. I remember looking forward to it all day at school and being able to stay up to watch in the evenings. You had to watch things live back in 1984 when video recorders were not common. It was thrilling to see the natural world as it had never been seen before. On TV, at least. Somehow, Sir David Attenborough’s team have managed to repeat that trick every three or four years, wowing us with nature. Last year it was, Planet Earth II. This year it was Blue Planet II, which I watched with my daughters who are about the same age as I was when I watched The Living Planet. We are able to watch in installments throughout the week, thanks to Sky+. Unsurprisingly, the pin-sharp jaw-dropping footage has created gasps from our sofa, and across the nation. These programmes have been a ratings smash. The only thing that British people want to see in greater numbers is amateur bakers making cakes. What does these shows have to do with Christmas? Two things. The first doesn’t sound all that Christmassy at first, but it is. And it’s this: the most exciting and gripping bit of each episode is the hunt, on land or at sea. Every week, there’s always some poor animal running the gauntlet. A giraffe trying to escape from a pride of hungry lions. A Cayman crocodile being grabbed by a jaguar. A poor lizard, only minutes old, running the gauntlet of those nasty snakes. In these hunt sequences we see beauty and brutality. ‘Nature, red in tooth and claw’ as the poet Tennyson puts it in his poem, In Memoriam. Red blood, flowing from the wounds made by the teeth and the claws of the wild animals. Many of us will only ever see this kind of visceral physical conflict on television. But for the shepherds keeping watch over their flocks that we read about in Luke Chapter 2 (see? I told you it would get Christmassy), this brutal side of nature was part of their daily lives. It still is for many animal herds across the word. Shepherds watch their flocks to keep them safe from wild animals that would happily help themselves to a woolly lamb. Following the birth of Jesus, why does Luke tell us about these shepherds? And why does God choose to bring the news of Jesus’ birth to lowly keepers of sheep? Okay, that’s two questions, but there’s a clue back in the Old Testament, in another firm favourite Bible story that’s told to children. The great shepherd, David, turns up in 1 Samuel 17, visiting his warrior brothers, only to find they are scared of this nine foot Philistine, Goliath. David fancies his chances. King Saul suggest that this is not such a good idea, and doesn’t give David a hope. But David tells Saul that as a shepherd, he is used to dealing with ferocious beasts and wild animals. David can handle himself. Or at least, God has form in rescuing him from lions and bears. Why should Goliath, an enemy of Israel, be any different? You’ll know how the story ends. David slays the Philistine giant – and goes on to be a truly great King, the Shepherd King. From Bethlehem. That should sound familiar. About a thousand years later, in the City of David, a new king is born in that family line. A king who will look after his sheep, go searching for lost sheep, and will lay down his life for his sheep. In so doing, he will slay the great enemy, Satan himself, and Death itself. We can’t be sure, but that’s probably why the angels announce news first to the shepherds on the hills outside Bethlehem. The second observation about Planet Earth II and The Blue Planet II is this. They’re not just some of the best programmes on the BBC. They’re also the most religious. More so even than Songs of Praise or The Big Questions with Nicky Campbell. The images of the natural world and the beauty of the creatures in their splendour are just astonishing. But of course, it’s not a natural world. God made it. God designed it. God sustains it. Whether you believe in an earth that’s 6000 or 6 billion years old, or whether you look out from a mountain top or the bottom of the ocean, whether you observe the smallest insect, the most beautiful bird, or the sleekest big cat, you get a sense of awe and wonder. It takes you outside of yourself. We see, we experience and we know that there’s a God. Some don’t, of course. But many do. Historically, most have. We shouldn’t be surprised at this. Sir David says that it’s one or the other. You can have a divine creator who made all the beauty. But that he also made the brutal bugs and the devastating diseases that cause so much pain and suffering. It’s a common sceptical conclusion for many, especially from those who have seen so much pain first hand. They are very striking images. Wolves and lambs together. Cows with bears. Lions eating alongside oxen. A Clinton Cards classic. What’s going on here? Is this what a descendant of David will bring? Anyone with small children will know how brilliant they are at finding trouble and danger. I’m sure my youngest would find a viper’s nest given the chance, and plunge her arm down it. But in the new world that Jesus will bring, she will be quite safe. Pain, eminity, brutality and death will have passed away. Sir David is right to question the suffering in the world. It doesn’t seem fair. It seems brutal and wrong. The good news is that if we have a problem with all the suffering in the world, so does God. If we think that God isn’t doing anything about the brutality of the world, or hasn’t, or won’t, or can’t, then we’ve not understood Christmas. We’ve not understood who this baby is. We don’t realise what this baby will do. Jesus, God’s shepherd king, will bring peace when He returns. That’s what we should be thinking about in the season of Advent. Jesus will defeat the giants of death and suffering. In that world, shepherds will no longer wrestle with lions and bears. People won’t be given malaria by mosquitoes or blinded by tapeworms. Sir David, “The infant will play near the cobra’s den, and the young child will put its hand into the viper’s nest.” The God you want is the God we have. Why not hurry off to Bethlehem to see this Saviour that’s been born? We Need to Talk About Harvey. And Mike. The revelations about Hollywood mogul, Harvey Weinstein, are shocking and appalling. All the details and allegations are easily accessible so there is no need to repeat them here. But how did this happen? A powerful man abused his position, authority and sheer physical size to do things he has publicly admitted he should not have done. Many women seeking the help or approval of a powerful man in a private closed meeting are made to feel nervous. My Facebook feed is littered with horrible #MeToo stories of women in such situations with creepy men who did, said or implied vile and inappropriate things. How could these situations be prevented? There is one way of sensibly avoiding many them. So can we talk about Mike Pence? Now, many reading this might already have made up their mind on Mike Pence, because he’s an evangelical Christian, or a Republican, or because he is a consort to Donald Trump. Click here for the latest character assassination by Jane Mayer in the New Yorker. It’s a long article but you can probably tell what she thinks about him from the title: The Danger of President Pence Trump’s critics yearn for his exit. But Mike Pence, the corporate right’s inside man, poses his own risks. Pence is a misogynist. We know it from his voting record, we know it from the things that he’s said about women’s rights and now we know it because of his odd personal rule not to dine with women alone. Gorka is, of course, tarnished by his association with Trump (who am I not, for a moment, defending) and so Vox immediately went out of its way to shriek at this entirely reasonable observation about Democrat donor, activist and friend of Hillary and Obama, Harvey Weinstein. If you want a lesson in defensiveness and weapons-grade impugning of motives, I’d have a look at it (you’ll love the bit about Caesar’s wife, which is obviously a parallel here) along with those articles from the Guardian, the Atlantic and the New Yorker. In all of those publications, Pence’s motives for his rule are always portrayed as entirely self-serving, to avoid suspicion and “that upstanding, honorable men avoid creating situations that might be misinterpreted by supposedly hysterical, unstable women”, according to Tara Isabella Burton in Vox. Are you sure about that, Tara? Is that how you’d describe genuine victims of Weinstein, as opposed to imaginary victims of Pence? I guess not. The downside of Pence’s rule is obvious. It appears to exclude women from private access to the Vice President in certain situations. It could perpetuate an old boys’ network. You would hope that Pence would go out of his way to grant greater one-on-one access to women on other occasions. I have no reason to suspect he doesn’t do this. He must realise that his ‘rule’ has a cost, and it must be deeply inconvenient to live by – and frustrating for female colleagues at time. But he is clearly willing to pay that cost in terms of being pilloried in the press for days. As usual, we need to have a grown-up debate. This time it’s about the differences between men and women, which is clearly made difficult by the agenda of those who insist that gender is fictional, a construct or self-determined. And it’s about the trade-offs that have to be made over certain policies and practices. Such a discussion is sadly not possible in the deafening echo-chambers of vociferously stated public opinions. Meanwhile, my Facebook feed continues to fill up with #MeToo stories of women (and men) who were victims of powerful people abusing their position for their own carnal gratification. It’s all very sad. For more of this sort of thing, pick up a copy of my book, Death by Civilisation, available on Amazon, and as an e-book, here. Even at the time, it’s hard to believe that anyone was falling about over this kind of material. Perhaps Lear’s limericks lack the punch because the were apparently folk poems that were only ever intended to be filthy. That would certainly explain why one of the few funny limericks is the one about the lady from Devizes. (Google it). Presumably Lear was prevented from printing such bawdy verse, or it was considered beneath him. The limerick has thus always been the Pete Best of comedy formats, lagging even behind the almost-as-dismal Knock Knock joke. I mention all of this because there is a funny limerick which is suitable for work, rather pleasing and curiously theological. I stumbled across is many years ago and has been locked in my mind ever since. And I remembered it this afternoon. It appeared in a book of verse in 1924 and is attributed to Ronald Knox. The first limerick encapsulated Berkeley’s philosophical principle that “To be is to be perceived”, philosophically related to the hack student conundrum of whether a tree falling over in the forest makes a sound. (I wrote a joke about this in 1999, in which some people set up an experiment to prove this one way or the other. They went back to find the tree had fallen on the recording equipment). For future reference, I plan to write a book about how comedy works (and often goes wrong), currently entitled A Good Sense of Humour. Do join my mailing list (on the right) for news on developments of that, and to be kept informed of other blog posts and activities. Or pick up my book Death by Civilisation. I mention this because I feel like I’m still playing catch-up with books like The Righteous Mind by Jonathan Haidt. I got a whiff of this American book a couple of years ago soon after it was published in 2012, but didn’t realise that it was a big hit, or at least a big hit among people who read non-fiction. I should have read it before. We all should. It would have helped all of us when it comes to talking about politics, a subject on which we could all use some help. The book is about how we form our political views and end up sharply disagreeing with each other. Using his own research and drawing on the research of others, Haidt puts forward a very convincing thesis that dispassionate moral reasoning is not the way in which we formulate our moral or political views. He argues that we react to moral situations with gut feelings, and then, when pressed, use moral reasoning to justify that decision. Not only does this ring true in my experience, he presents compelling evidence to, erm, rationalise his gut feeling on this. So far, quite interesting. But it gets better. How can we explain our instincts on moral or ethical questions? What makes us rush to the judgments we like to think are based on facts or sound philosophy? In examining this question, Haidt has stumbled on something that explains one of the most tiresome political frustrations of our age, which is: The Left thinks the Right is evil. But the Right does not think the Left is evil. The Right tends to think the Left is stupid. Haidt has some helpful insights into the way in which people form their political opinions. Those on the Left tend to base their views on perfectly decent criteria, mostly a desire for equality and empathy for those who are suffering. Those on the Right, however, consider these criteria, but balance them with other ones, like the realm of the sacred and the good of the existing community (rather than some speculative utopia). For example, Haidt points out that conservatives tend to see things that the Left sees as self-evidently positive, like the welfare state and feminism, as threats to personal responsibility and the importance of the family. Despite being a leftist himself, Haidt can see how the Right takes the broader view and how the Left mistakes that for moral deficiency or lack of empathy. Based on those last two or three paragraphs, you might already be shouting at your screen or scrolling down to the comments section, which is understandable. You’re reacting emotionally, which is what we all do. But the book is carefully nuanced and well argued. If anything he takes a little too long over it. It’s probably 60-80 pages too long, and I confess I skimmed most of the material on the role of evolutionary biology. But The Righteous Mind is worth every penny for the first hundred pages and the last thirty. To his credit, Haidt is refreshingly open about his own politics, those of academia and the students participating in many experiments. These disproportionately bright and liberal student are highly unrepresentative of the population as a whole and skew the test results accordingly. Haidt also talks about having confronted his own leftist biases and move towards the centre. But there is an unacknowledged irony that for all of his fair-mindedness and self-awareness, Haidt just cannot bring himself to say anything positive about Republicans. When he talks about the Right, he always specifies that he is positive about certain aspects of conservatism, and is at pains to point out that he is not praising or endorsing anything to do with the GOP. Presumably, he has already enraged his fellow Left-leaning academics enough with the very idea of searching for balance and considering other points of view. The overall effect of this to me, at least, demonstrates that even those with the greatest insights into political opinions succumb to the prejudice of party politics. The Righteous Mind by Jonathan Haidt is published in the UK by Penguin. And can be purchased here. Some friends of mine have been coming off Facebook recently, partly as a result of this incredibly long and often interesting article by John Lanchester in The London Review of Books. I first wrote about this phenomenon a few years ago in the now-defunct Third Way magazine. Here’s the slightly updated version, but the main point is the same: You get what you pay for. And if you’re not paying, you are the product. FaceBook has changed its default privacy settings. They did this WITHOUT TELLING ANYONE and so now ANYONE in the world can see that you’re hungry and want a biscuit, or check out an out-of-focus picture of your cat sitting by a bar heater. This is GROSS violation of users rights and as governments, employers and advertisers can find all about you and target their marketing accordingly. But this CAN be prevented. We’re like a usable, friendly, pastel-coloured version of the internet. Thanks to us, you can magically link up with friends all over the world, old school buddies, work colleagues (why?) and take a good look at someone you fancied when you were 15 now that they’re 37. Whoa. Scary. You could have married that. But here’s the amazing thing. You can do this without having to write any Java script, Html or MaxiCom 9. There’s no such thing as MaxiCom 9. We made it up. But you had no way of knowing about that because you don’t know about computers, do you? But we do. And we built FaceBook. Using Maxicom 9, for all you know. And you know what else we did? We wrote a smart phone app so you can use this social network 24/7. Some of you do seem to use it 24/7. Get a life! Ha ha (joking – we know how you Brits like a joke, right?). And do you know how much all this cost you? Precisely ZERO pounds. So let’s talk about that for a minute. The fact is, we need to pay for stuff and we’re pretty sure you won’t spring for a monthly subscription. That would be the simplest and neatest solution, wouldn’t it? A few pounds a month doesn’t seem much for something you use all the time and that keeps you in touch with the people who make life worth living. Someone, somewhere is paying for everything. And, yikes, do we have bills to pay? Programmers are not cheap. Especially not the ones in Silicon Valley who all want to drive Teslas. But then the upside of being a socially outcast geek is the whopping pay cheque. Then there’s the eye-watering bandwidth bills, and huge energy-guzzling server centres that we built all over the world. And yes, now we have investors and shareholders who aren’t just expecting to get their money back but would like something like a return. One of our investors is Bono. And you don’t want to see him when he’s angry. He clicks his fingers and people die. So, we’re trying to make money because you’re not giving us a dime. (Do you Brits have an equivalent of a dime? Hey, I just read the word ‘dime’ out loud in British accent. LOL.) That’s why we’re always trying it on with the Privacy Settings. That’s why we’re trying to link other apps to FaceBook. Because we think somehow, this will make us some money. That’s why we linked to your Spotify account and told your friends when you were listening to Rollercoaster by B*Witched. Why were you so embarrassed about that? They were a perfectly decent girl band and pretty good role models for little girls. (They wore denim, didn’t they?) And talking of Spotify, loads of you give those dudes £5-£10 a month. WHY CAN’T WE HAVE THAT? I understand that FaceBook is free. But I’m not an idiot. I understand everything has to be paid for. And so, I understand that I AM THE PRODUCT. And so I will stop whining. Or stop using, and being, the product. A few years ago, I read a book about the Eddie Stobart company. I’ve forgotten most of it, but my lasting memory is that Eddie himself barely featured in the day-to-day running of this company. In fact, he was soon a distant memory. The other members of the family enjoyed this because if someone stomped into their office with a problem and demanded to see Eddie Stobart, they would be disappointed. Someone else would step in and offer to deal with the problem and suddenly the situation was already beginning to be diffused. And no-one had to take the blame for being Eddie Stobart. Convenient. I don’t have that luxury on this website. 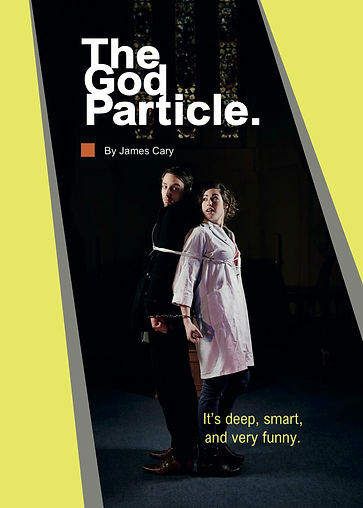 I am James Cary, and this is Jamescary.co.uk. Welcome to my new website. Hopefully it is a permanent online home for my articles and blogs, more of which below. But for now, I realise that I’ve left myself very little room for manoeuvre. If I post a thought or opinion on this site, it’s me. I take the credit or get the blame. Anyone who stomps up and waves a fist will be doing so to the man whose name is at the top. There is no hiding. My previous and now defunct website was called ‘In Pursuit of the Obvious’, which is a curious title for my website. It did not mean that I consider my own views to be merely common sense and self-evident or that that anyone who disagrees with me is clearly wrong-headed, illogical or in denial. Many newspaper columns pride themselves on what they consider to be ‘straight shooting’ and ‘telling it like it is’, in a world of political correctness, PR, spin and fake news. Much as it would be nice to have a website called ‘Both Barrels’ or ‘Shooting from the Hip’, my aim is not to shock people with the truth or rant like a rabble-rounsing demagogue. Given the mass of Chesterton, we assume this is a loud noise. He would have been thrilled, amused and flattered. We digress. Okay, I’m doing most of the digressing here, but many great truths have been expressed in digressions, just as many great discoveries were accident. That said, people tend to quote pencillin, but then dry up with further examples rather quickly. Where were we? Ah yes. “In Pursuit of The Obvious”. Why that as the title of my previous blog? Much as I’d like to write more about this wonderful chapter, I realise a little more explanation is still needed. Chesterton’s circuitous journey back to faith in plain old Christianity is something that we may yet end up experiencing as a society and nation. I am not saying that we had it right in the old days. There’s no one particular year or even century where we’d really cracked Christendom. In the fifteenth century, Britons were very religious, but it took a form of superstition, rather than a Christian faith. A century later, Protestantism had taken hold (which I’m a fan of), but lots of people were killed in the process. Within another hundred years, life for Protestants serious about their faith found living in England untenable so they left to start another country in the Americas. I’m not nostalgic about the past, but I am optimistic about the future because I believe God is good, and that he has made the universe to be a friendly place, and despite our best efforts, our story ends well. As a nation, we are on a journey, trying to find out what works and what doesn’t. We’ve tried Kings, Parliaments, Empire-building, War, Socialism, Pluralism, Capitalism and various blends of the aforementioned, many of which have their strengths and their place. The question is what mature, authentic Christianity looks like in the 21st Century, a land of iPhones, science labs, nuclear weapons, cloning, fake news and reality TV. How do Church and State fit together? What is the State? How is this discussed in the Media? What is the media? Sorry, what are the media? (We all know it’s ‘is’ really). What sort of society do we want to be? And what do we do about people who want something else? These are questions with which I seem to constantly be wrestling. I have elephantine adventures in pursuit of the obvious. But rather than the call the website that, I’ve called it Jamescary.co.uk. Disappointing, but there it is. I’ve written more on some of the above in a book called Death By Civilisation, available in some good bookshops, a few dreadful ones and unavailable in far more of both. Best bet is Amazon.